Unlike the tool-maker, however, who produced products only for his own use, the artisan produced products to sell to others. That’s a big difference. The artisan was also a businessman. He had to deal with many issues beyond design and production alone, such as clients, finances, marketing, branding, purchasing and more. All this was on a very small scale, since the artisan’s business was small and localized. It might sound strange, but product designers, still today, carry the “tool-maker’s DNA” of the product- and production-centered approach. After all, 2.5 million years of history do not easily fade away! Product designers are creative craftsmen; they choose their profession due to their passion to design and create beautiful, smart, functional objects. Try asking an engineer or product designer about her product, and she will talk to you for hours, full of enthusiasm. Ask her about her product’s marketing strategy, pricing or production logistics, and after two minutes you’ll find yourself discussing the weather. If you take a look at design engineering or industrial design curricula, you’ll see that most of the main courses focus on the product – the process of creating the object. The industrial world of the last few decades is incomparable to that of earlier history. The range of expertise required and the complexity and speed of doing business in today’s industrial world is so much greater, that the artisan’s business now seems quaint, like a nice hobby. While the artisan was able to handle his business with his core craft knowledge plus some minor (perhaps intuitive) “expanded capabilities,” this is definitely not the case for the modern product designer. In order to address all the required business aspects, the modern product designer has to learn and handle so much that it leaves him with insufficient time and attention to actually design great products! This is the main trigger for the PDM revolution: the product design discipline, and the product designers themselves, can no longer cover all the aspects required by a successful product development business. In other words, it is necessary to split product design management from the actual product design. Another reason for the importance of PDM today is the evolution of product marketing. Since the beginning of the twenty-first century, the need for PDM has been growing due to the rise of the product-centric marketing approach. For many decades, marketing and advertising were considered by the industry to be much more important and effective than the product itself. An average product with great marketing did better than a great product with average marketing. 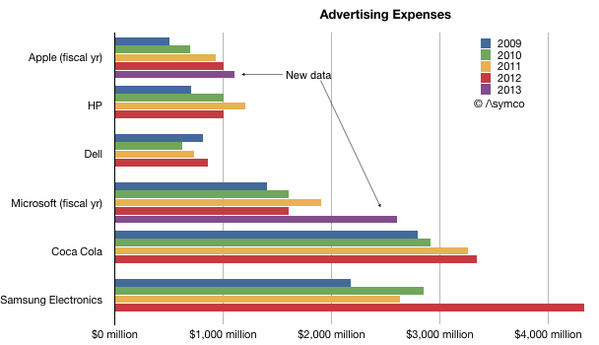 In most companies, the marketing budget was much larger than the R&D budget. The brand was more important than the product and the marketing message was stronger than the product’s quality or performance. No longer. Today, consumers expect high-quality products and they are much less tolerant of misleading marketing campaigns. Leading companies realize that the product is their strongest marketing tool, and no marketing campaign can replace the product’s quality. (Apple was the first big company to turn this strategy into a cash machine.) Today, you can no longer find a strong brand based on poor products. In times when marketing was the company’s major business engine, “marketing management” was needed most. However, when the product is the hero, excellent product design management is what companies need more than anything else. The product-centric marketing approach has increased the need for, and the importance of, PDM. Making crucial design decisions based primarily on the designer’s intuition and the taste of the boss’s wife is no longer good enough for the modern, highly-competitive industrial world. PDM is not a specific method or tool. PDM should be part of a company’s strategy and its way of doing business, that can be implemented in various ways (just like marketing). Product Design Management is a corporate culture and multidisciplinary management methodology that benefits product design and innovation for business growth, as part of the company strategy. So how is it different from Product Design? The product design discipline is product- and production-centered, as part of the R&D department. It is not the product designer’s job to deal with the company’s strategy, marketing or product pricing. However, it is certainly his job to design the product according to the company’s strategy, following the guidelines he receives from the product design manager. Yet, in many cases, product designers (because they are smart and motivated professionals) take the initiative and act as (mini) product design managers. Sometimes, this brings valuable results, and sometimes not. To properly implement PDM in a company, much more than product designer (or even R&D manager) initiative is needed. Why is PDM so important in today’s economy? To what kinds of companies is PDM most important? How to implement PDM in a company? I will discuss the answers to these questions in upcoming posts. What do you think about this topic? You are most welcome to share your ideas and thoughts. Kyle, thanks for your feedback.